FREE VALUATION. To buy, auction, sell or consign your Mary Baker Eddy 1st edition that is for sale, please email Nate@NateDSanders.com or call the Nate D. Sanders Auction House (http://www.NateDSanders.com) office at (310) 440-2982. Mary Baker Eddy was an author and scientist who is perhaps best remembered for establishing the Church of Christ. In her lifetime started several magazines and the Pulitzer Prize-winning newspaper The Christian Science Monitor. Her book Science and Health with Key to the Scriptures was what she described as her most imperative work. The book’s first edition was published in 1875, but she continued to add to it and make revisions for the remainder of her life. Science and Health with Key to the Scriptures was named as one of the “75 Books by Women Whose Words Have Changed the World” by the Women’s National Book Association and Eddy was inducted into the National Women’s Hall of Fame in 1995. 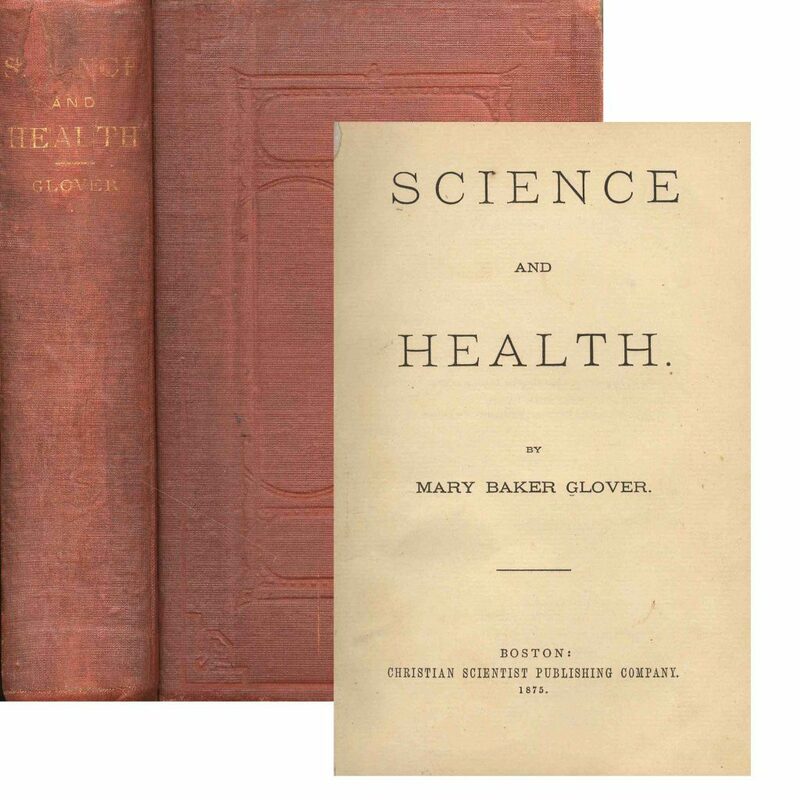 Rare first edition, first printing of “Science and Health” by Mary Baker Glover (later Mary Baker Eddy). Boston: Christian Scientist Publishing Co.: 1875. Designated by Grolier, Streeter, Printing and the Mind of Man, and Howes as one of the most influential books ever printed. Book is bound in its original rust cloth boards, recased with original spine laid down and new endpapers. Mild foxing and rubbing to gilt on spine, else near fine condition. A beautiful example of this seminal work in the fields of medicine, religion and psychology. Sold for $3,545. Mary Baker Eddy 1st Edition of Science and Health. Click to enlarge. FREE VALUATION. To buy, auction, sell or consign your Mary Baker Eddy 1st edition of Science and Health that is for sale, please email Nate@NateDSanders.com or call the Nate D. Sanders Auction House (http://www.NateDSanders.com) office at (310) 440-2982. Appraise Mary Baker Eddy 1st edition of Science and Health. Auction Mary Baker Eddy 1st edition of Science and Health. Consign Mary Baker Eddy 1st edition of Science and Health. Sell Mary Baker Eddy 1st edition of Science and Health.